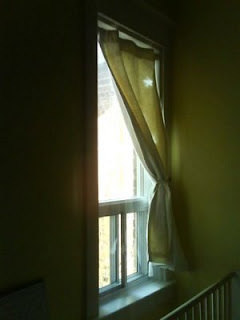 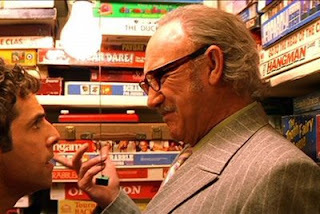 maybe i should be embarrassed to admit this, but ever since i saw the royal tenenbaums, i wanted that games closet. 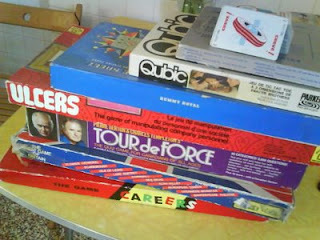 fortunately regular visits to small town thrift-stores has rendered this almost a possibility - i don't have the closet space to devote to it, but i do have some games. 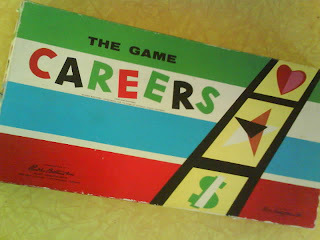 today we pulled out careers by parker brothers which is, being from 1955, alarmingly sexist. 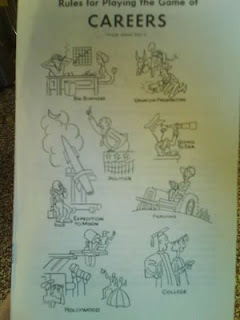 career choices include farming, politics, hollywood, going to sea, uranium prospecting, and a mission to the moon. 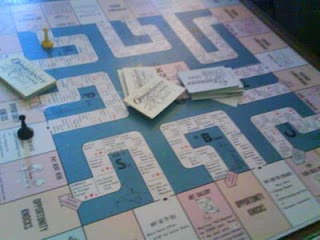 i was winning when sadly nic had to leave.